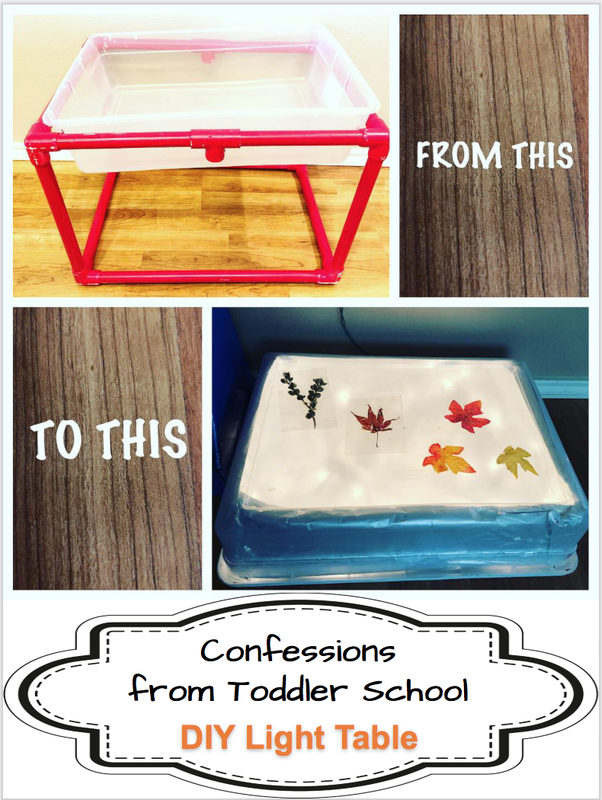 Confessions of a Tiny Teacher: Confessions from Toddler School: Fall Leaves! Confessions from Toddler School: Fall Leaves! I am so beyond excited! The weather has cooled, the leaves are turning and I can live in my boots and cardigans with a PSL in hand (decaf of course)! That's really all I need in life. 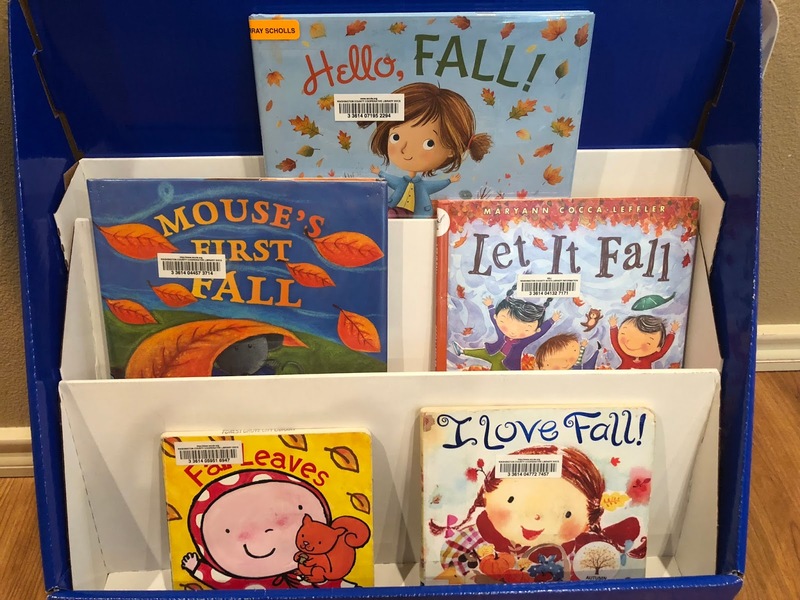 It's also time for all of our favorite fall themed activities! As always, we kick off our week with a new emergent reader for Cohen to add to his book bag. This has quickly become his favorite part of our new themes! We also do an interactive anchor chart and explore all our new books. Our activities are meant to be quick, easy and stress free! Having too much in a day is overwhelming. I set up each activity to last 15 min tops! I also don't like to overbook because life happens. One kid wakes up sick. One kid wakes up in a mood (you know how that goes) and doesn't want to do anything I want him to. I decide randomly I *need* to go to the pumpkin patch. You know. Priorities. Every month I do a sweep of our local library for themed books matching our upcoming units to add to the books I already have on hand. This time around I was a little slow to get there so the pickings were a little slim. Luckily they still had Mouse's First Fall that is a favorite around here. 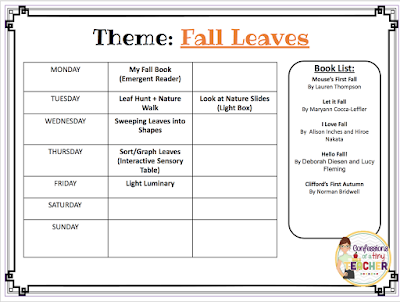 I try to buy one new book a week to go with our theme. Do you have any favorite fall books I need to purchase!? I feel less bad because of our interactive anchor chart! 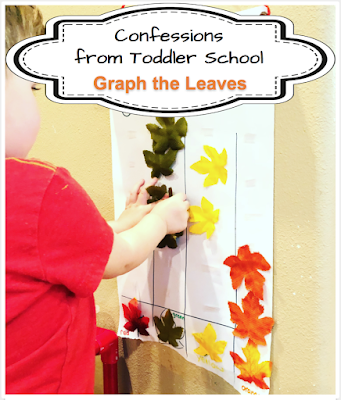 I put one of each leaf on the bottom and then added double sided tape up the graph so you could put on and take off as many times as you want! And believe you me, this got a LOT of use. 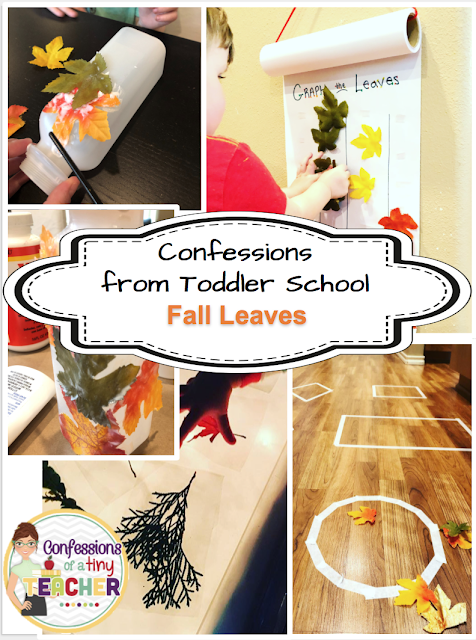 Avery loved taking the leaves off and Cohen loved putting them back on. Avery had fun and Cohen got extra graphing practice. Win-win! This one was hilarious! Trying to teach Cohen how to lean down with his face by the floor to blow was by far the funniest (and cutest) thing I've ever seen. He just could not put the 2 together. Lots of giggles with this one! Oh boy! 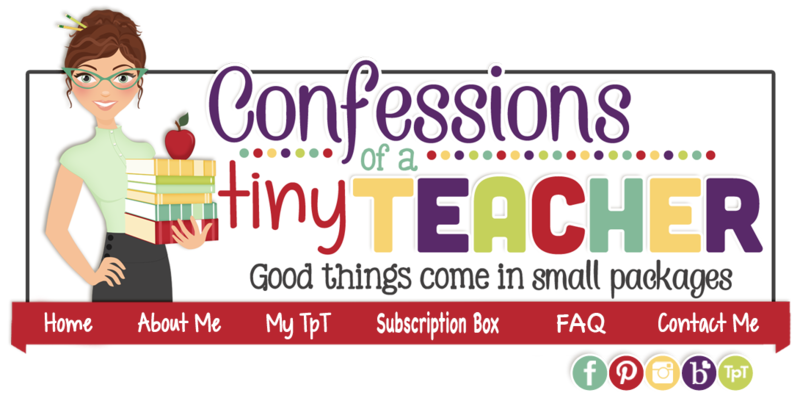 I think I was a glutton for punishment when I whipped out this activity. Cohen had woken up at 3 the night before and was a walking melt down ALL DAY LONG. I think I was delirious. It went really well though! 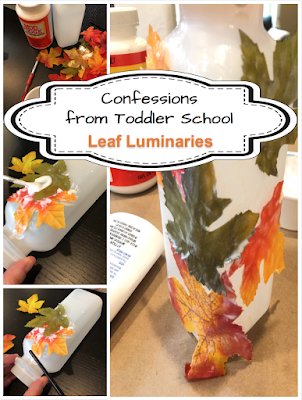 Cohen was very engaged and had fun gluing on the leaves with mod podge and then we put in a little tea light. Super cute and easy. 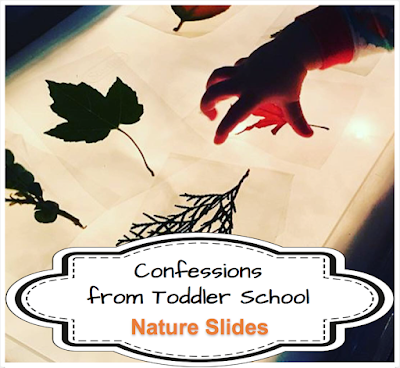 I love love love these nature slides! We do this one every year! 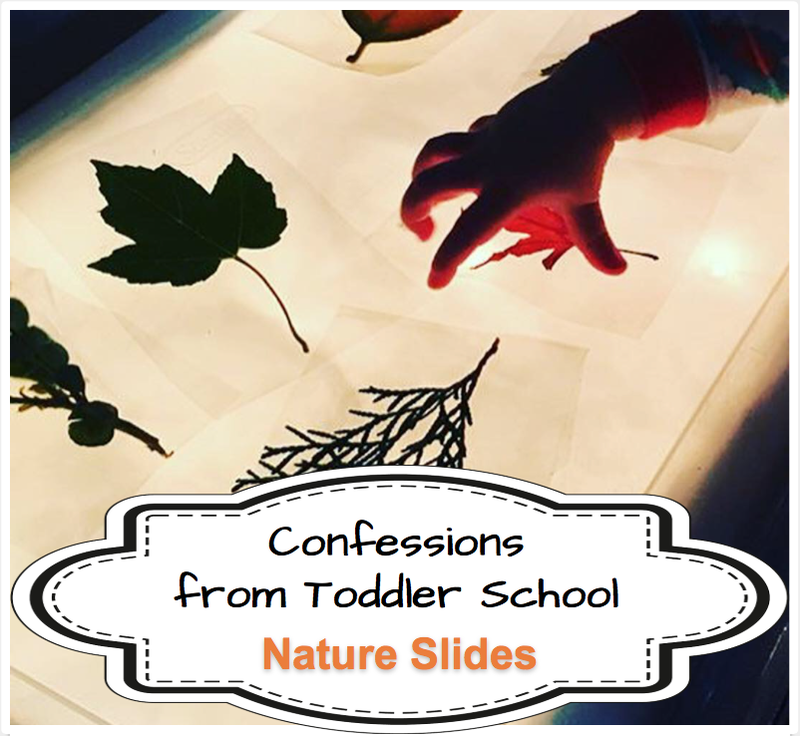 We start out by going on a nature walk outside and collecting things we want to look at on our light table. 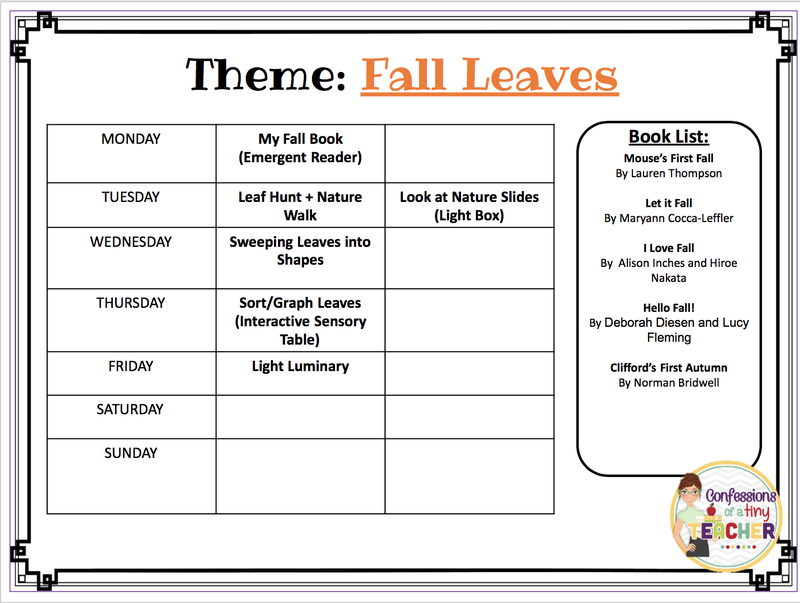 We found some pretty new leaves to laminate and add to our collection from the past couple of years! 5. Put on lid and flip over! Nature Walk - We went on a walk around our neighborhood to collect samples for our nature slides. We loved the crisp cool air and putting on our boots for the first time! Fall Festival - We found the most AMAZING pumpkin patch this week! 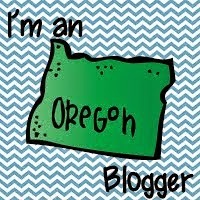 I can't believe I had never been before - I feel like a fall phony! But seriously, it was incredible! 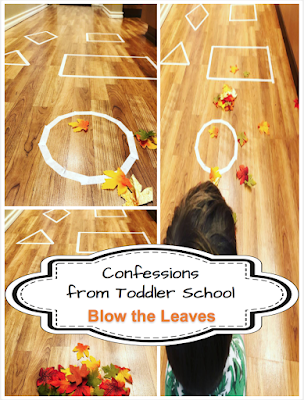 They had a fall festival with all kinds of activities for toddlers. We are definitely going back! 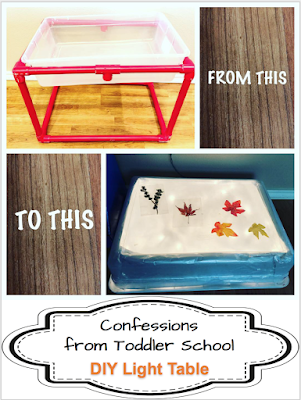 Confessions from Toddler School: Football!